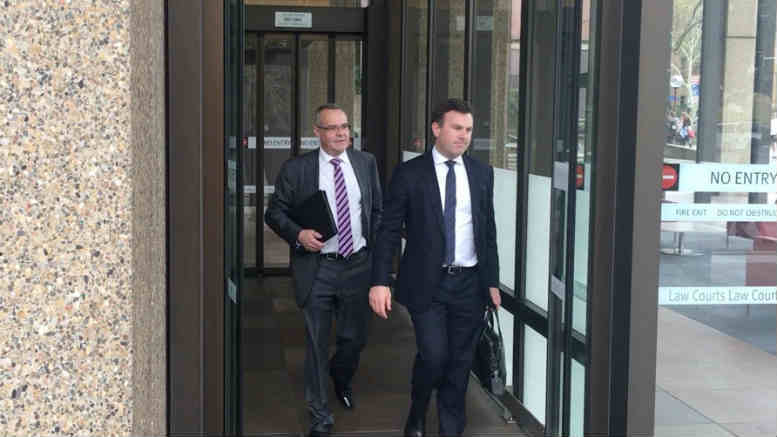 TEN Network Holdings VAs Mark Korda and Jarrod Villani exiting the Supreme Court in Sydney yesterday. TEN Network Holdings VA Mark Korda. Mark Korda is probably less than delighted that the recent triumph his co-owned firm engineered via the sale of Arrium has been largely neutered, obscured and in terms of publicity trounced by the TEN Network Holdings (TEN) imbroglio but it didn’t show yesterday, even when the prickly and provocative John Atanaskovic made a seemingly amicable overture. Of course in a room packed with lawyers and journalists, it pays to keep fists and teeth unclenched. There’s hardly scope for hissed threats let alone a discreet uppercut but there seemed no genuine animosity even though Atanaskovic’s clients are making Korda’s life hell. Guarded smiles appeared and the two exchanged a quiet word as the court emptied in response to Justice Ashley Black’s decision to adjourn the hearing for 20 minutes at 11:30am. The judge had ordered the break after Anthony Bell SC opened proceedings yesterday on an application for orders restraining Korda, and his joint TEN voluntary administrators (VAs) Jarrod Villani and Jenny Nettleton, from holding a meeting of creditors to vote on the proposed sale of the commercial broadcaster to US entertainment giant CBS. 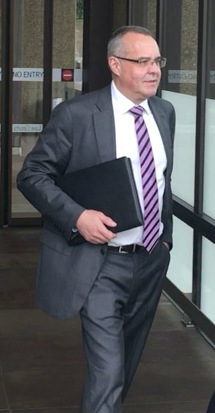 The creditors meeting was to be held yesterday on September 12 but was pushed out to the 19th after the VA’s published a supplementary report to creditors in response to concerns around the original report voiced by media mogul Bruce Gordon, who owns 15 per cent of Ten’s ASX-listed stock through his company Birketu and Lachlan Murdoch, who owns around 7.5 per cent through his investment company Illyria. Relevantly, Gordon’s WIN television network is also a creditor in the TEN administration. Like Korda, the two media moguls have been less than delighted of late. They mystifyingly relinquished their tight grip on TEN by choosing to remove their support for the CBA-supplied funding lifeline keeping the network afloat back in June. That saw TEN’s directors hand control to the conveniently pre-positioned KordaMentha as voluntary administrators on June 14 and CBA to install to PPB Advisory’s Christopher Hill, Phil Carter and David McEvoy as receivers on July 1. Since that time the two major shareholders have been fighting furiously to recover their lost advantage. Their strategy – executed by Bell SC – involves attacking the adequacy of the documentation KordaMentha has produced since its was appointed VA on June 14 and for anyone subscribing to the dictum that the trend is one’s friend, this would seem to be a smart play. After all, it’s not often that a top tier insolvency firm is forced to produce not just a supplementary DIRRI but a supplementary report to creditors too. Oscar Wilde made pertinent remarks about recidivism and carelessness. In addition, the VAs conduct of the administration as expressed through their reports, is about the only area where Gordon and Murdoch can insert a lever. First there was KordaMentha’s initial Declaration of Independence, Relevant Relationships and Indemnities (DIRRI), issued in conjunction with their appointment in June. Within days a complaint about the DIRRI’s level of disclosure had moved both ASIC and ARITA to contact the VAs to echo the concerns. Despite insisting that the original DIRRI was wholly compliant the VAs nevertheless issued a supplementary declaration document. Then came the September 4 Report to Creditors, which proposed to hold the meeting when creditors would vote on the CBS proposal on September 12 after the minimum requirement of five working days had elapsed, a curiously narrow window given the VAs had earlier gone to court to extend the period allowed to them to convene the meeting. The notice of meeting attached to the September 4 Report to Creditors required that proxy forms were to be received by the VAs by no later than 5pm on Sunday 10 September 2017 and proofs of debt had to be returned by no later than 5pm on Sunday 10 September 2017. That’s within three business days of the notice of meeting. On September 5 Birketu wrote to the VAs querying how CBS could be admitted to vote for the value of its debt and requesting that the VAs apply to the courts for an adjournment. Clearly the new Insolvency Practice Schedule empowering creditors to request more information from administrators and liquidators were being deployed against the VAs. Despite the beefed up supplementary report Bell told the court its was still deficient. Where was the copy of the CBS transaction deed, summarised in section 6.1? Where was the independent valuation report authored by KPMG? Where was the detailed analysis of Gordon and Murdoch’s rival offer, lodged in tandem with the CBS offer on August 24? Justice Black has a heaped plate to contemplate and the hearing, which was initially scheduled for two days, may now possibly run to three. It’s set to resume this morning and if anyone is likely to look pleased, it’ll be the nine barristers retained by the various parties. 1 Comment on "KordaMentha’s TEN reports ammo for CBS rivals"
When you have two or more parties with competitive bids for a business in the hands of VA’s, it must be left to the Court to resolve matters. Unfortunately mediation would not work at this stage with Ten, as it can do when you have just two parties in a dispute!